Second seed Rafael Nadal ended Greek youngster Stefanos Tsitsipas’ captivating run to reach his fifth Australian Open final, the BBC reports. Nadal, who triumphed at Melbourne Park in 2009, is one more victory away from winning all four Grand Slams at least twice – a feat which no other man has achieved in the Open era. After a number of injury problems, Nadal is playing his first tournament since losing in last year’s US Open semi-finals. 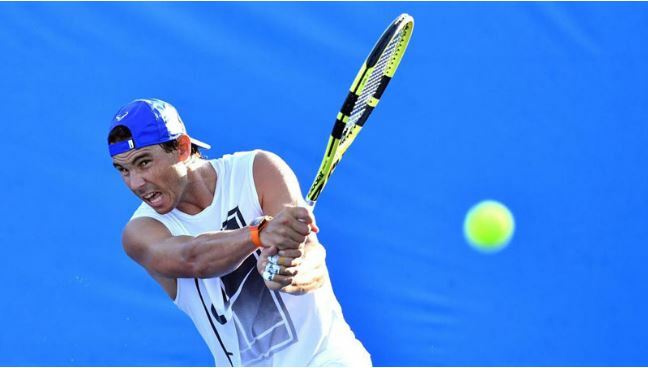 “To start the season like this when a few weeks ago I was in Brisbane having to take a tough decision not to play there, it is difficult to imagine where I am today,” Nadal said. He has played three players – Alex de Minaur, Frances Tiafoe and now Tsitsipas – who are aged under 21 and competed in the Next Gen finals. “They don’t need me to send them a message – they are good,” he said. Tsisitpas, who cut a forlorn figure in his post-match news conference, has “everything to become a great champion”, according to Nadal. “There are not many reasons to be down when you have started the season like this, even if is normal just straight after the match not to be happy,” he said.